What's So Good about Public Education in America? Is it true that public school kids and their public school parents don't have choices? I'm sure that I will expose my ignorance of the "far right" and the "far left" and their respective discussion points about school choice; but isn't it the case that we already have a fair amount of choice when it comes to educating our students? Richer people (even upper-middle-class and middle class people) are more likely to have college degrees. Parents with college degrees are more likely to value education. People who value education are more likely to instill these values into their children. Children with parents that value education (especially if their parents--themselves--are college graduates) are more likely to do well in school. Since teachers (generally) make the same amount of money in these "better" schools as they do in schools with lower student achievement, teachers (generally) prefer to teach in these schools. Teachers get to spend more time on teaching and less time on disciplining. Additionally, these schools seek to hire good, highly-able teachers to meet the demands of their students. I think I understand some of the issues of "low-achieving schools". Some kids are motivated to do well in school and some are not. Low-achieving schools have a majority of low-motivated students. Lack of parental encouragement and/or parental example. Lack of engaging teachers and interesting lessons. Lack of a sense of belonging to your school. Low-achieving schools tend to have more discipline issues that come up. This leads to stricter school rules and (sometimes) stricter consequences. Many teachers find it difficult to have an effect on a student's education in these type of schools. Many teachers were never trained to handle multiple discipline issues and they themselves were never part of a high school class that didn't care about learning. Hence, teachers who begin in these schools seek to move to "better" schools. Hence, low-achieving schools have the additional issue of (on average) having a less experienced staff year after year. Move. 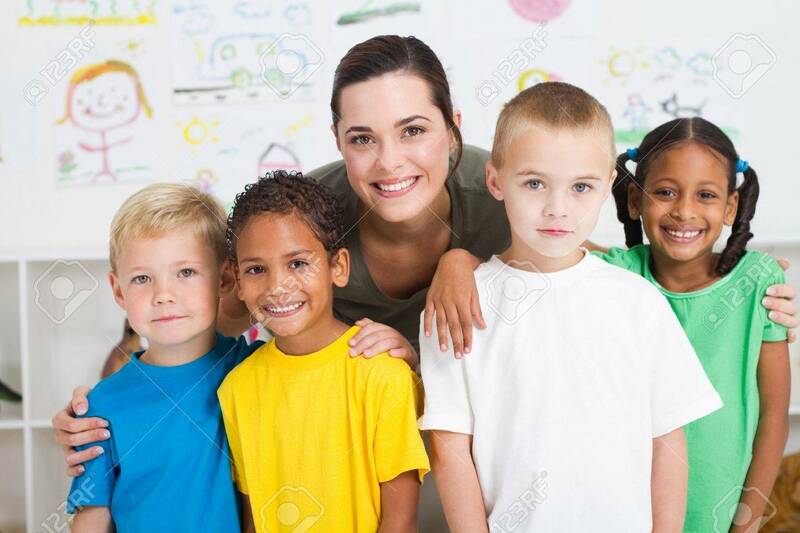 Parents who are sufficiently unhappy with their child's public school and are quite happy with a nearby (or not so nearby) other public school can move into the district with other school. I know that moving is a great inconvenience and it would take some mighty strong feelings for family to make this decision--but it is an option. However, if the better school is in an area that you can't afford to live, then this isn't an option. Charter schools. This option is gaining in popularity. Twenty years ago, less than one percent of American schools were charter schools. Today that number is over 5%. In 2009, 40 of the 50 states in the U.S. had charter schools. Charter schools are public schools, so they are free just like public schools. Homeschooling. This option is also on the rise. In 1999, 850,000 America students were home-schooled. By 2011, that number rose to 1,770,000 of our nation's approximately 50 million students. (source) Homeschooling can occur at any level from kindergarten to grade 12. Online learning. I have to say that this an area that I am less familiar with. I know middle and high school students can take online classes, but I don't know the rules about how they count toward graduation and whether you can completely skip public school and get all of your secondary education online. Personally, this sounds like a very lonely learning experience. But perhaps as a supplement it is a good choice for some. My feeling on this issue is the same as it is on most issues: Do what you think is best for your child. If you want to leave public schools because you're angry about one thing in one course, I would suggest looking for options for that one course--but don't leave the whole school because of it. If you have a broader complaint about your child's public school and want to consider other options, do your research. But be careful because something else isn't always something better. I just finished watching the Netflix show titled 13 Reasons Why. It is about a high school girl that commits suicide and her life in high school during the two years prior to killing herself. It made me think of all of the efforts and policies and hours spent on keeping students safe in our schools. We practice fire drills and code-red drills; we encourage students to talk with an adult when they see something or hear something dangerous; and we all make an effort to have good, healthy relationships with as many students as we can. Still, despite these efforts we are constantly faced with the reality of high school students riding into their first attempts of adult life without training wheels. Adults can be warm and friendly and approachable, but they are still adults. It is too easy for teenagers to view the adults in their life as completely unable to understand the issues that they face. We can do better. In 2014, 1668 teenagers (13 to 18 years old) killed themselves--about 7 out of every 100,000. We can do better. Recognizing the warning signs for committing suicide can help to prevent a person from going through with it. Friends matters; words matters. One person's suicide effects many people around them. And it can always be prevented when we work together to identify potential victims and take action. School is a great place for most of our students. Friends, sports, clubs, etc. It can be a place of solace for students who come from a difficult home life. But it can also be a terrible place of name-calling, and social-media-humiliation, and bullying. We want everyone to feel welcome and safe in our schools. 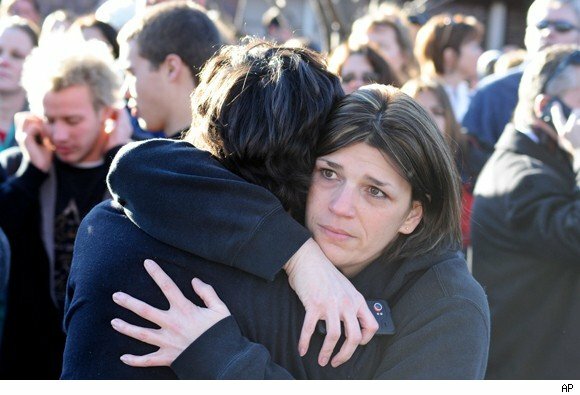 Most students and parents would agree that our schools are safe places. But we can do better. We have to work together; we have to be a society that looks out for each other. See something, say something. In the same way that police need the assistance of the public to solve crimes, schools need the eyes and ears of every student. We want to help; we want you to feel welcome and wanted and special. We want everyone to feel that their school is a place where they belong. Help us. Do your part. We can do better. Children living in poverty miss more days of schools than children who do not live in poverty. Dropout rates are higher among student from low-income families. 40% of children living in poverty are not prepared for primary schooling. The academic achievement of poor students has been a challenge that our nation has seen for decades. Back in the time when earning a high school diploma was less necessary for acquiring a good job, our failure to adequately help poor students was less of an issue. The penalty for not succeeding in school, while present, was not so severe. Low-skilled jobs, manufacturing jobs, and service jobs were relatively plentiful and attaining a middle class life-style, while still somewhat difficult, was more possible. Today, high school graduation (and the hard and soft skills that we want our students to gain in high school) is much more of a necessity than ever before. Technology has lowered the number of low-skilled jobs and "Career and College Readiness" has become so much more than a slogan. The statistics are well known. Student from families in which the parents have college degrees usually do well in school. Students from families in which the parents didn't finish high school usually do poorly in school. We are faced with the daunting challenge of overcoming this generational force that seems to keep pulling our most vulnerable students down. Since "learning" is not something that can be forced on a person, our schools need to find a way to convince poor students (and their families) that schooling and education are important. Knowledge is power. Academics leads to more opportunities. This is especially true as students move to middle and high school. The subject content is more difficult; the reading level is higher; and the consequences of better achievement that are recorded and stored in student records are asked for from colleges and universities later on. It's hard to do hard things--even for bright students. The issue isn't the level of intelligence. The issue is the level of motivation that encourages students to carry on even when the work gets harder. No one wants to fail. 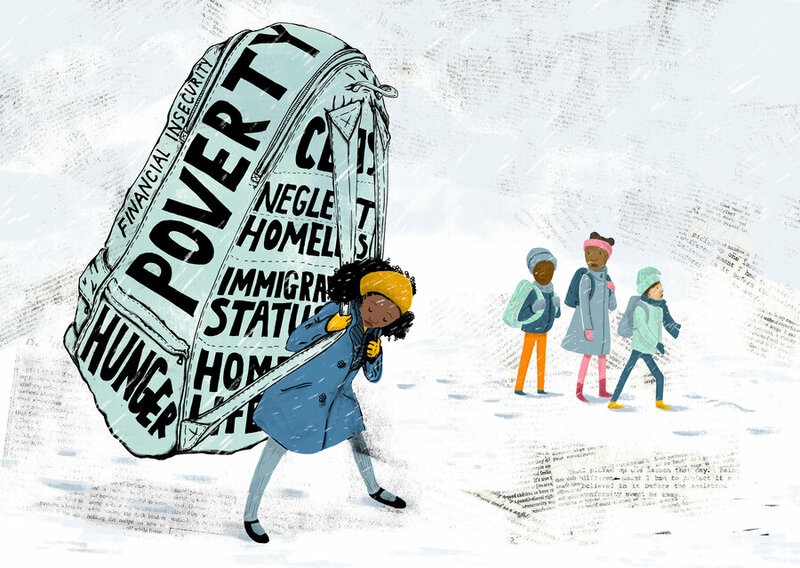 Poor students are burdened with many hardships that come with a lack of money: less books at home; less technology at home; poor or no healthcare that leads to sick students getting sicker rather than getting better; less food and/or less healthy food. We need to understand these challenges that are part of the daily experience of our poor students. This has been a problem in education for a long time. There are pockets of success around the country, but we are far from declaring victory over this problem. Of all the issues facing education, the issue of educating our poor students looms high above the rest in my opinion. When this issue is properly addressed and we begin to see improved results, we can truly say that we have given our best to our students and to our society. Imagine P - 12 schooling without grades. Teachers, friends, computers, classes, classrooms? Yes, yes, yes, yes, and yes. The idea of an educational landscape without grades is not so new and (in fact) there are a significant number of schools that are experimenting this idea right now. New York High School English teacher, Starr Sackstein, has been talking about this for years. We still teach and we still assess. 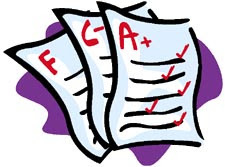 We just don't use the traditional grading system of attaching a number or a letter to that assessment. The problem with "grading" is that it has grown to be a monster that we can't control. Parents and students alike will tell you that they care more about "getting-a-good-grade" than they do about "learning". As with so many other aspects of American life, grading has become a competition to be won, rather than a method for measuring learning and understanding of academic content. Add to this that grading systems vary widely from school to school and even from teacher to teacher (sometimes) in the same school to the point that it is hard to say what a particular grade actually means; or if the same "grade" means the same thing from one class to another. I often say that the goal of education is learning. If something hampers our efforts to help students to learn, I think we should do something about that. 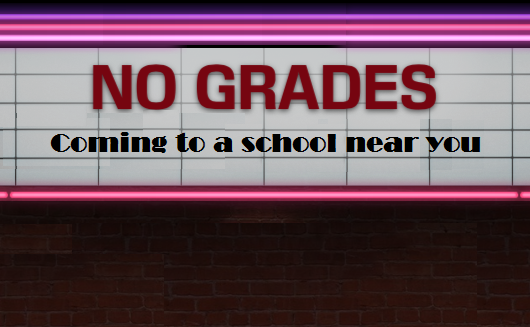 Grades and grading have (in many cases) become the new goal or the more prominent goal of education in the minds of many students and parents. That's a problem. If we are preparing students for the world of work, what will be their motivation if without grades in the workplace? Colleges regularly get rid of students that can't keep up academically. It doesn't matter what their grades were in high school. What matters is what they know and are able to do. Same thing with employers. Good grades might get you the job, but only true ability will enable you to keep the job. We need to teach students the value of learning exceeds the value of earning good grades. Maybe the way to do this is to get rid of the grades. Starting a new job is exciting...and scary. And when that new job involves a classroom full of students who are depending on you; and they all have parents who are depending on you; and you're expected to use technology that you've never used before; and some student don't try to do their best every day; and ... and ... and .... Well, you get the idea. New teachers and veteran teachers have pretty much the same job and the same responsibilities. But I've got good news for new teachers: You don't have to know everything. Today's teachers are better trained and better prepared for that first day on the job than ever before. Policies and laws and general "good practice" have prepared our college graduates well. Student teaching requirements and excellent mentors during teacher training programs help our future teachers to understand curriculum, experiment with teaching strategies, and learn to interact with students. But teaching is not the sort of job that can be fully learned in a college classroom. Teaching requires practice and a fair amount of trial and error. Every student is different and every group of students are different. You can't be fully prepared for every situation when you begin teaching. For this reason, I tell new teachers that they are not expected to know everything when they begin their career. I encourage them to ask a lot of questions and to seek advice from fellow teachers and from their principal and assistant principal. It isn't that new teachers aren't prepared to accept the responsibilities of the job--they certainly are. But teaching is much more of an art than some sort of mechanical process. Anyone can explain some idea or concept to a bunch of students. But a teacher wants every student to understand the idea so well that they can discuss it with other students, ask questions about it, and even build on this new knowledge and find connections to other ideas and knowledge that they already have. New teachers who strive to improve and to learn from others are usually viewed in a good light, even if they make a few mistakes along the way. 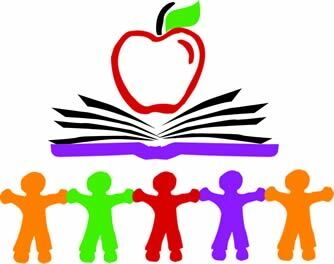 Furthermore, I feel that it is the responsibility of the school and the school district to continually provide supports that will help new teachers to become better teachers. We know that our best teachers are the ones who continually look for new and better ways to reach their students. The world changes and we need teachers who are willing to change as well. This is true for experienced teachers as well as for new teachers. We understand that it is stressful to accept a new job with new surroundings, new people, and new responsibilities. We want new teachers to be comfortable and confident. With adequate supports, new teachers can approach everyday knowing that nobody is perfect and mistakes are part of the learning process. This is what we tell our students and it applies to the teachers too. Teaching is an awesome responsibility, and understanding that teaching is a learning process helps new teachers to get through that first year eager to begin their second year. The most struggling students would have the best teachers. We know that good teachers make a difference in student outcomes. Our best teachers are also our best motivators; they help students to see the value of effort and their students try hard and do their best every day. Students who struggle academically need good teachers who believe that all students can learn and show this by their actions as well as by their words. I hate to say it, but students who have a lot of support at home--students with parents that value education--typically do fine in school regardless of the quality of their teacher. If there are only a relatively small portion of the teaching force that is in the "best" category, they should be teaching the most struggling students. Students would be allowed to learn at their own pace. They wouldn't have to "move on" because the rest of the class is learning faster than they are. And they wouldn't have to sit in class being bored with nothing to do because they "get it" faster than everyone else. Student engagement is increased when students have some control as to the pace of their learning. Opportunities for all sorts of classes would be available to all students. Music, art, physical education, higher-level (college-prep) classes would be available to everyone. If a student struggles in math but wants to take Calculus at some point, there would be a path of courses (and professional educator assistance) to help her to get to Calculus. If a student wanted to take two or three foreign languages prior to high school graduation, he could do that and still complete all of the other requirements. There would be a lot less competition for grades and a lot more desire for learning. "A" students would receive no more praise than "C" students because effort would be valued over performance. Students who didn't "get it" the first time or the second time would be given multiple opportunities to reach proficiency. Some will exceed expectations and some will barely meet the expectations. But all will be rewarded for learning. Students with career goals after high school will receive the same amount of help and guidance as students with college goals. Preparation for civil participation will be part of every students' P-12 experience. And students who don't know what they want to do after high school, will receive opportunities to understand their skills and to consider different options. We live in an imperfect world filled with imperfect people, imperfect teachers, imperfect students, and imperfect schools. We can wish for perfection, but we can't realistically reach perfection. The best we can do is recognize our needs, understand our problems, and work together to find the best solutions for our students. Amazing things happen when we work together. While (usually) quite un-amazing things happen when we refuse to change in the name of we've-always-done-it-this-way. Our schools work hard to produce the best outcomes for our students given the staff and money and facilities and materials and students and parents that we have. When things don't work, the answer to fix it and make it work. Everything can be better; it may take a lot of hard work, but it can be better. Our schools may not be equal for everyone, but they can be the most positive places for our students and teachers if we want them to be. 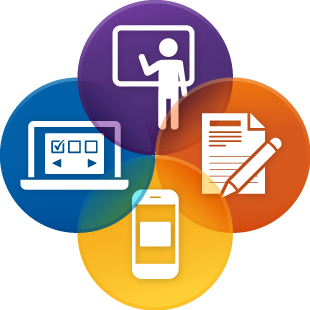 Blended learning is an education program (formal or informal) that combines online digital media with traditional classroom methods. It requires the physical presence of both teacher and student, with some element of student control over time, place, path, or pace. My school district has begun the journey into Blended Learning over the past couple of years. As an educator approaching his 30th year in the business, I view Blended Learning as an effort to bridge all of the positive and effective teaching and learning strategies that the educational and research communities have learned over the past few decades. Learning at your own pace. In a traditional classroom, 30 students learn the same thing at the same time. If you pick up on the topic quickly, you have to wait for your classmates to catch up. If you struggle to understand the topic, you have to move to something else before you fully understand. Blended Learning allows students to move at their pace. Everyone is learning the same topic, but fast learners are given more challenging work and struggling learners are given more assistance. Multiple ways to show what you know. In the traditional class, students can only demonstrate their understanding through classwork and homework and tests. While this isn't a terrible method for measuring student knowledge, we certainly know that this method can lead to the appearance of learning when (in reality) little learning occurred. Classwork can be graded on completion instead of quality. Homework completion can come from lots of parental help for some and no parental help for others. And tests can earn high grades due to cramming and memorizing rather than due to actual learning. In the Blended classroom, students work with each other and help each other; teachers can spend more time one-on-one with their students (or in small groups). Students can demonstrate their understanding through informal assessments and assignments in addition to more formal and traditional testing. Multiple attempts to learn. We know that learning is a process. Few students can sit in six or seven classes a day and learn six or seven different things strictly from listening and taking notes. Learning requires listening and thinking and doing and sometimes failing the first couple of attempts. Blended Learning recognizes the learning process and students understand that it is OK if they don't get it right away. Blended Learning also provides different modalities for student learning. These include: small group work, individual work, using online resources, using paper and pencil resources, and allowing students to verbalize their understanding. Blended Learning recognizes that students learn in different ways and at different rates--and this is not only OK, it is expected that all students learn in different ways. The goal is learning. Blended Learning permits students to be students and to learn in a way that works for them. Learning isn't a competition. Learning faster isn't better than learning slower. Everyone that reaches the finish line is a winner. Blended Learning helps students to see the value of learning. Why Is Teaching Mathematics So Different Than Teaching Other Subjects?